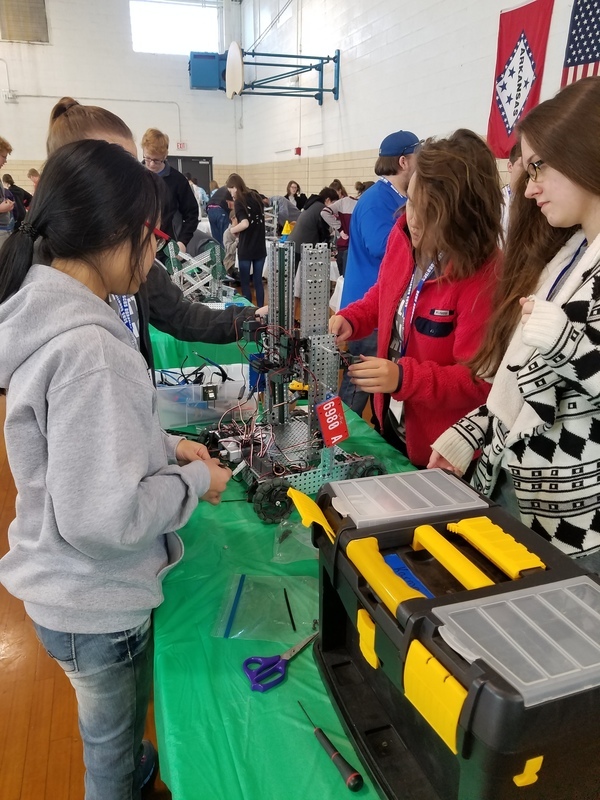 On Saturday, November 11, the Robotics teams participated in the South Arkansas VEX Robotics Competition in El Dorado. The high school is comprised of three teams; two boys’ teams (WALL-E and the GOATs) and one girls’ team (KARMA). 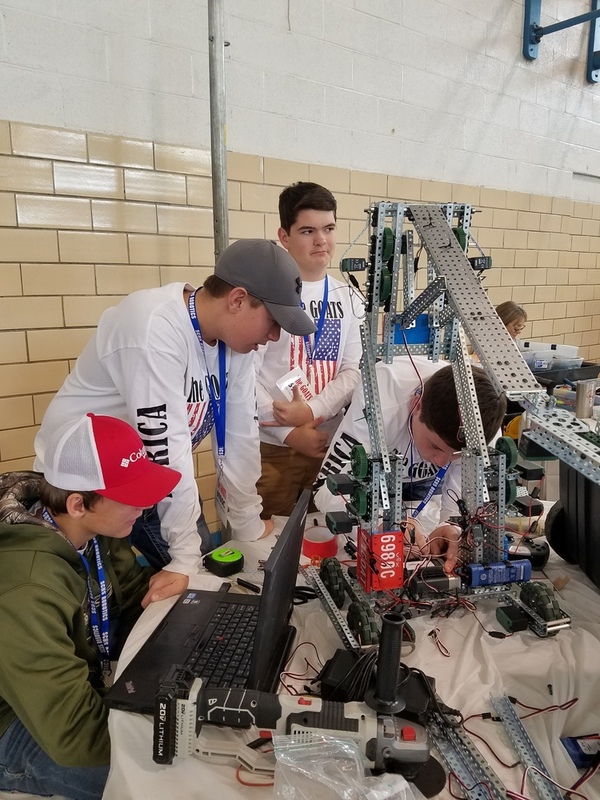 Team KARMA received the highest scores on their engineering notebook and judge’s interview and was awarded the Design Award, which included the most original robot design at the competition. Along with their alliances, the girls’ team made it through the finals as the competition’s runners-up. WALL-E scored relatively high with their engineering notebook and interview (four points behind KARMA) and made it through the semi-finals. The GOATs played in the quarterfinals, but lost due to mechanical malfunctions. All teams are improving in collaboration and brainstorming skills to troubleshoot the mishaps, and more team members are learning to program and drive their bots. 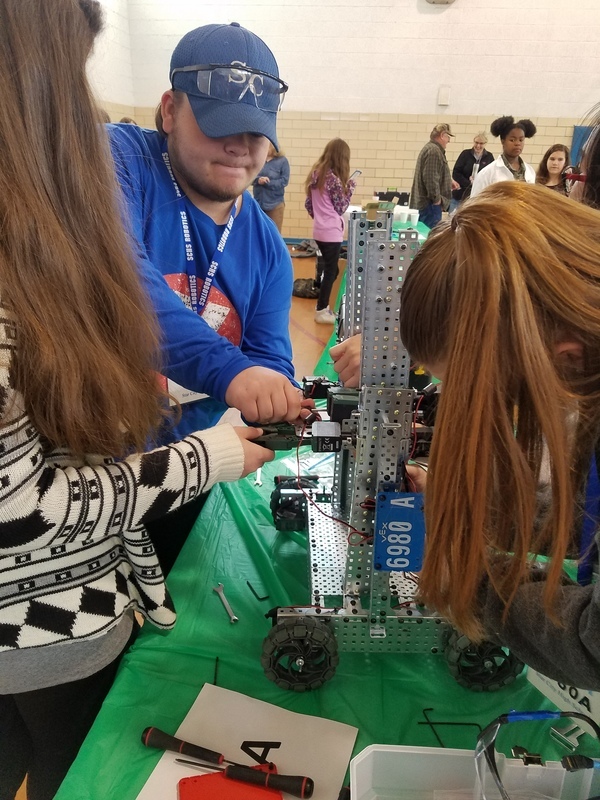 Modifications are now being made to improve their bots for the competitions in Madison, Mississippi (this weekend) and Jonesboro (12/09).